This entry was posted on January 21, 2014 by Tintean Editorial Team/fdg, in Of Literary Interest, Theatre Notice, What's On... and tagged A Stretch of the Imagination, Bloomsday in Melbourne, classic Australian theatre, Jack Hibberd, Paramoor Winery, Renee Huish, Wayne Pearn. Bookmark the permalink. Wayne Pearn as the irrepressible Monk O’Neill. Nature of event: Jack Hibberd’s classic Irish-Australian play, A Stretch of the Imagination, with Wayne Pearn as Monk O’Neill and Renée Huish as director. Where: Paramoor Winery, 439 Three Chain Rd., Carlsruhe, via Woodend. Award-winning wines and snacks (at winery prices) will be available before the show. Cost: $25; $20 for groups of over 6. Bookings essential. Either by phone to Bob on 03 9898 2900 or online. Further information . See Liz MacKenzie’s review. 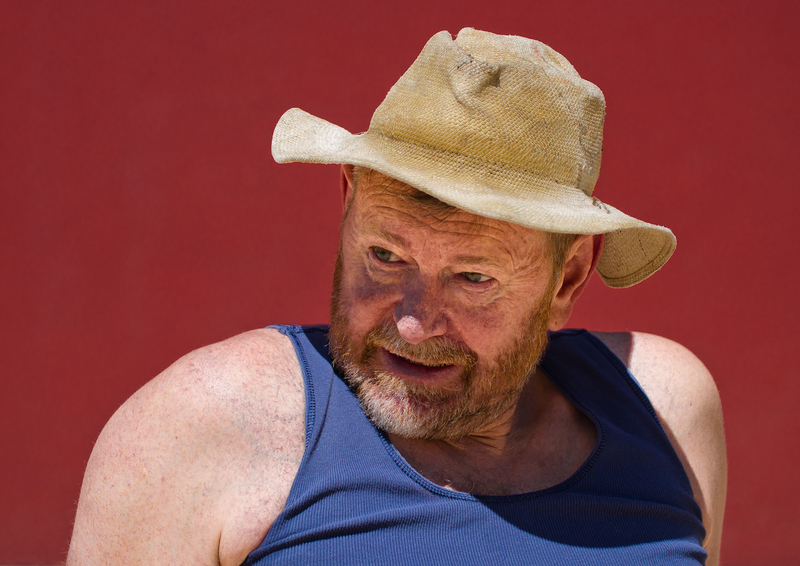 Jack Hibberd’s iconic black comedy, A Stretch of the Imagination, first performed in 1972 at the Pram Factory, is to have another (brief) season (one performance only, at Paramoor Winery, one hour up the highway not far from Woodend. Directed by Renée Huish, and featuring Wayne Pearn, it explores the changing face of the Australian battler. Monk O’Neill, the main character, is a type found in the decades after WWII, the cultivated bushman/recluse whose serial failures in life nonetheless fail to quench his hunger for life. At the edge of his own grave, he cannot but relish the lurid tales of his past, and in invoking them, he valiantly pushes away mortality. It’s funny and sad, and it has much to say about national dreams and how they changed during the early ’70s. Come early, and enjoy Will Fraser’s vintages and Cathy’s cheese plates. Kyneton, Woodend and Macedon are all close by.